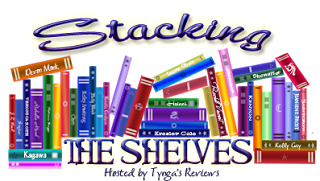 Stacking the Shelves is a new meme hosted by Tynga's Reviews, which is all about sharing the books you are adding to your shelves, may it be physical or virtual. This means you can include books you buy in a physical store or online, books you borrow from friends or from the library, review books and of course ebooks! My laptop has gone AWOL on me so I'm leeching from my cousin's. Anyhow, I got a couple of books from TBD, TOR Teen, Fullybooked and Booksale. So what did you guys get this week?